If you have arrived to this page searching how to do recruitment agency SEO, you are on the best place as ranking websites is our specialities! We are a London based digital marketing company providing proven solutions for local businesses and individual tradesmen. Our tailor made SEO services are affordable and well tested, the perfect way to improve your online presence. The recruitment industry in the UK is huge and it is growing rapidly, there is no signs of slowing down. It is continuing its reputation as one of the leading industry. Just in the year of 2017 there are more than 5800 recruitment agency launched. A new research by the Recruitment and Employment Confederation (REC) reveals that 67% of UK employment agencies forecast revenue growth in 2018, so the trend is continuing. This industry’s total revenue grew to £32.2 billion in 2016/17 alone in the UK. The vast majority of this (£28.2 billion or 87.6%) was achieved through temporary / contract recruitment. If you don’t want to left out of this amazing opportunity, you have to act fast! It is not enough to develop a nice website and put all necessary information, you need online visitors either from search engines or marketing campaign. If you are new to this business, PPC campaigns might bring you immediately results, but as your brand is new on the market, and you haven’t earned trust yet it might not convert as you wish. The rule of online world is hard, when somebody searches in Google for “best job agencies” or “temporary employment companies” and your website is not showing up in the first results, you’re losing clients to other agents. If you want to develop or optimise your website for maximum success, you will need a reliable SEO company to take your business to the next level. We are one of them in London! With proven strategies, and up-to-date techniques, ChelseaSEO is ready to give your business the needed exposure by dominating the top rankings in Google, Bing & Yahoo. Better ranking delivers more clients. No matter if you are an agency specialised to IT jobs or a small local business for temp works in London, Leicester or Nottingham, we can help you achieve your goals! When it comes to getting traffic to your website, basically you have two options: search engine optimisation or pay-per-click advertising. Pay per click is offered by Google Adwords, Yahoo Search Marketing, Bing Ads and others. They enable you to display ads in the sponsored results section of their search results page. Then, you pay the fee for each click, when you stop campaign, the visitors stop coming to your site. Because employment and job opportunities are a very competitive market, with thousands of new businesses launched every year, the keyword prices are quite expensive without promising any conversions. The main advantage is that you get immediately results, however if you aren’t monitor and optimise your campaigns to get the best return on investment, your investment could be wasted. A recent Google survey revealed that 85% of people claim to ignore sponsored listings when searching via Google. Another problem, that people all over the world have become sceptical of advertising, including PPC, so it is getting harder to reach potential visitors. When you are looking at Google’s Keyword Planner, you will see that the click prices are so high for the employment industry. You have lots of competitors and many companies looking for immediately results, also there are huge brands who can’t afford to not advertise. 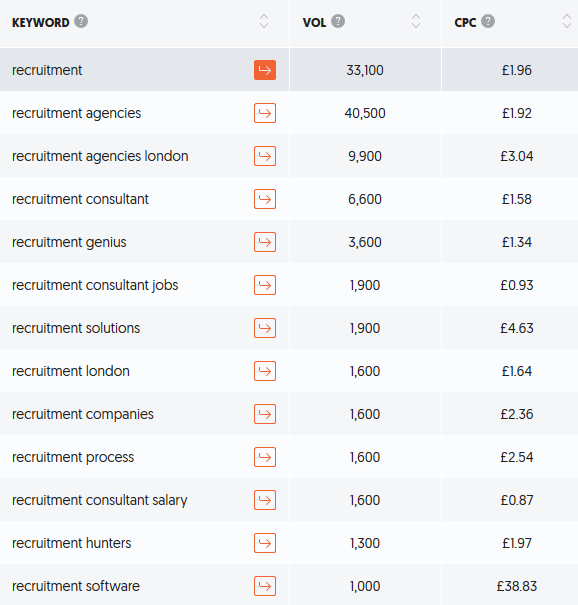 Just some example one click costs £5.61 for the keyword “find employees” , £5.03 for “job advertisement” , £3.75 for “sales recruitment agencies” and so on. If you are interested, our PPC experts can manage all your marketing campaign. Starting from keyword research, ad optimisation, to A/B testing to find out which ads are the best. It s one of the most cost-effective marketing strategies as it targets users who are actively looking for your jobs and related services online. If you had optimised your website with our London marketing agency, and achieved a high rank on search engines, you get literally free traffic, you don’t have to pay for clicks. Being on the first page for targeted keywords helps users associate your brand with those keywords, and it instills trust as companies on the first page are generally known to be more trustworthy. SEO is a long-term strategy, depends on the keyword difficulty, it can take up to 12 months to see the best rankings, but once you are ranked in top positions, you rarely move down. Organic listings receive more than 80% of clicks as people tend to skip paid advertisements. If your local business is new, we establish an online presence. this includes choosing a domain name, design a website and with our smart web hosting, you will be in the best hands. We make an in-depth website analysis: current rankings, internal linking, external link profile, broken links, errors, etc. We spend time to get to know your job agency and it’s main competitors. Custom solution for your business. Our experts research new, local and related keywords for quicker SERPs movement. We build long lasting strategy to achieve high ranking to dominate Google’s search results. We implement our tested methods, on-site + off-site and technical optimization techniques for maximum success. This stage involves content creation, organic link-building, press releases, blog/magazine outreach, local citations, GMB & Bing Places, social signals and more. As SEO is not a one-time process, we updating your website’s content with blog posts, articles, or even photos, infographics and videos on regular basis. Plus maintain and improve your external backlink structure and your social media presence. Quality link building service increases traffic and authority for your website. As you see your website is climbing up on the pages of Google within months, and your employment agency’s revenue increases from a steady stream of new job seekers, you’ll be realising the benefits of investing in our marketing company’s service. 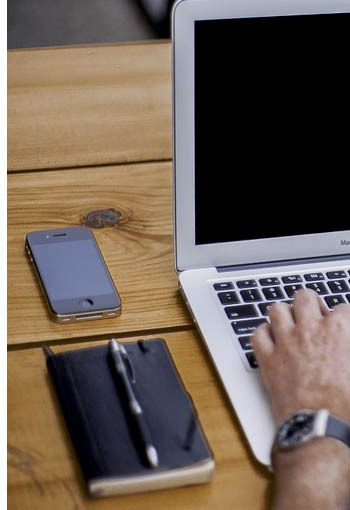 Our employment agency SEO professionals stay up-to-date with the current industry news, ensuring that our company is always adjust it’s strategies in this ever-changing world. Driving visitors to your website and growing your sales starts with Search Engine Optimisation, that’s exactly what we can do! We follow a proven site optimisation process to get your website ranking in Google and in other search engines. Let’s work together and make a solid online presence for your business. Discover our best SEO Packages or contact us for more details!